Plagiarism is the taking of material used on other websites to be used on this one. This is frowned upon by the community and is not wanted but it is acceptable. By acceptable, we would prefer not to use other websites content but it is not against the policy unless the website taken from denies use of their content. If it is done, the source must be used and the creator(s) credited to avoid any conflict with outside companies. 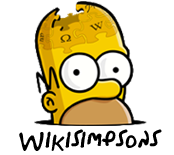 It has been requested that this page or section be rewritten due to the fact that the page has parts that have been dumped from Wikipedia, making the article not original to Wikisimpsons. Please remove this template once or when no directly copied parts from Wikipedia remain. However, if you notice a page that is similar or an exact copy of a Wikipedia article, please change it to make it less noticeable. Then we can remove the template. An easy way to spot an article copied from Wikipedia is through the links. Some users can not even be bothered to link these to Wikipedia, leaving red links a lot of the time. If a red link looks like it should not belong on this wiki, and there are multiple of these on the page, it is most likely a copy and paste job. Users are not allowed to copy and paste articles or parts of articles from Simpsons Wikia (simpsons.wikia.com). Licenses between wikis state that we must credit the original source of the information and we will not do that as we want our own unique information. If a user is caught breaking this, they will receive a warning. If a user continues to disregard the warning, they could be blocked at an administrator's discretion. Similarly, users are not allowed to take content from Wikisimpsons and post it on Simpsons Wikia. 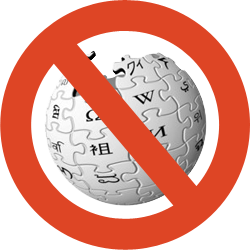 If a user is caught doing so, it will result in an immediate ban and your IP could be blocked from viewing the wiki. Modified on October 31, 2014, at 15:04.